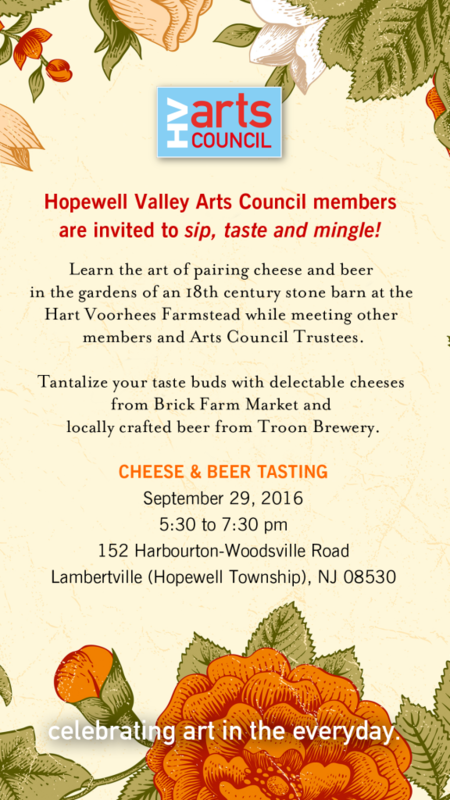 We hope you’ll be our guest at this reception for Hopewell Valley Arts Council members. Not a member or not sure whether you’ve joined? RSVP to the party and we’ll follow-up to get your membership started. Or, start your membership right now!